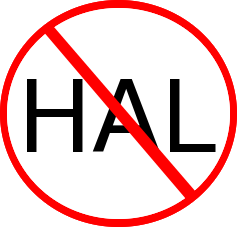 As of a week ago or so, HAL is no longer required by either NetworkManager or ModemManager. This helps streamline the hardware detection process and cleans up that code a lot. It was a fun ride and a lot of other great stuff came along with the udev port, because rewriting everything to use udev pretty much required cleaning up a bunch of other stuff. The udev parts were a lot easier than I thought they would be; what was complex was rewriting a ton of ModemManager to be more flexible and work better with multi-port modems on the one hand, and really stupid quirky hardware on the other. For everyone in the US, have wonderful 4th of July. To everyone who’s not, have fun at the Desktop Summit. Had prior plans meaning I couldn’t attend, but I’m sure the Red Hat team will honor my absence by spreading the love and drinking all the liquor. Rock on, GNOME.